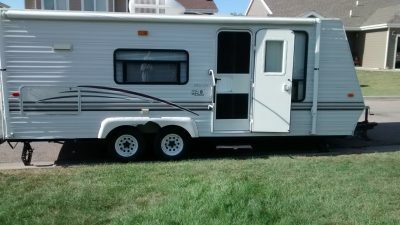 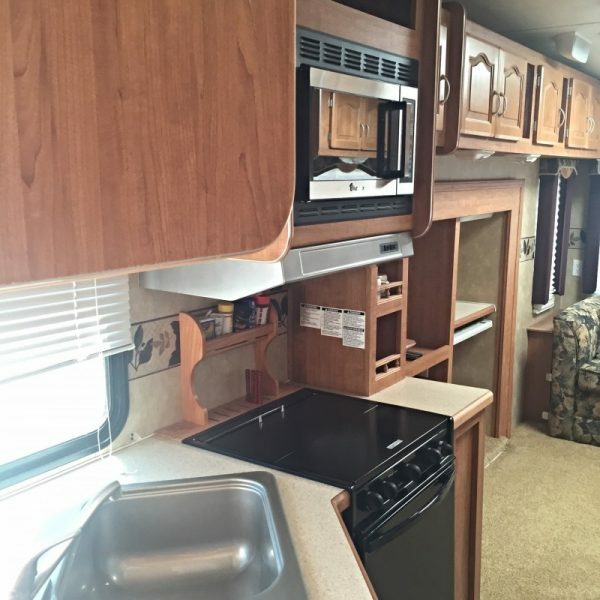 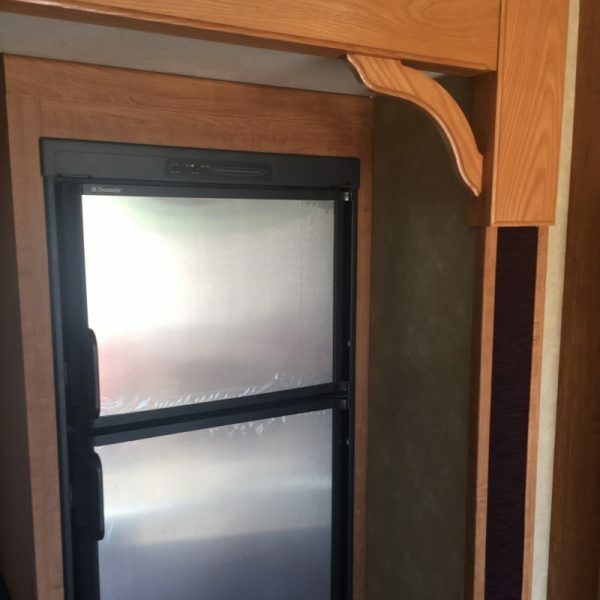 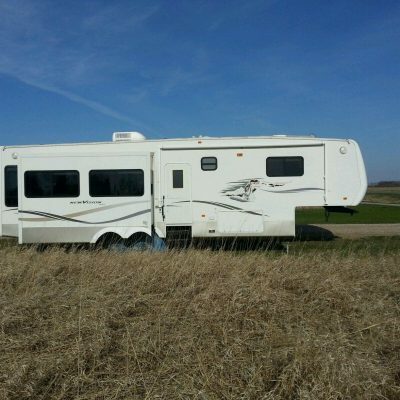 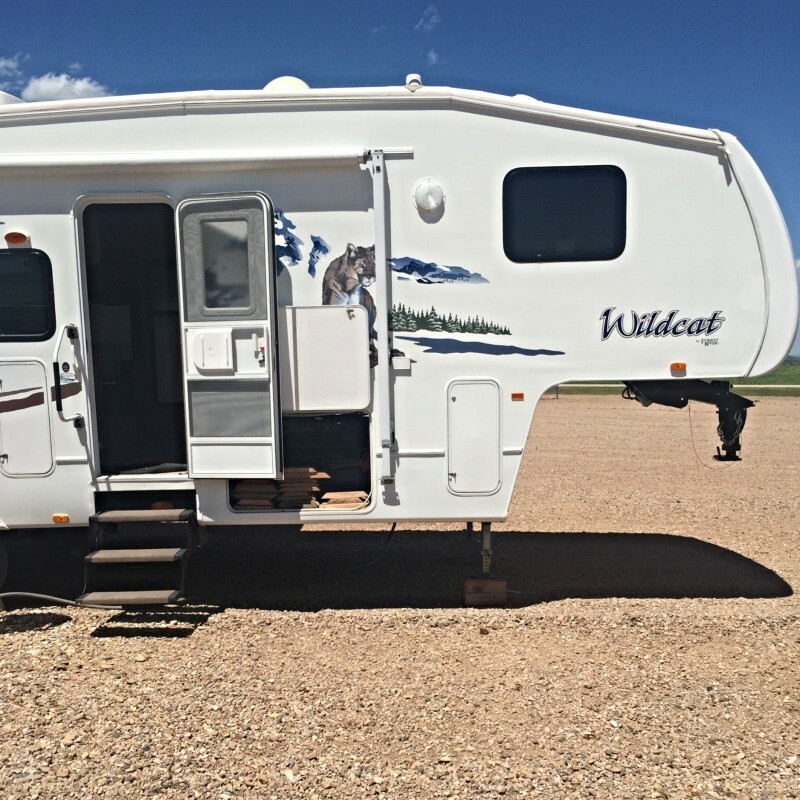 This roomy camper is beautiful to step foot into and even better to call your home for the Rally! 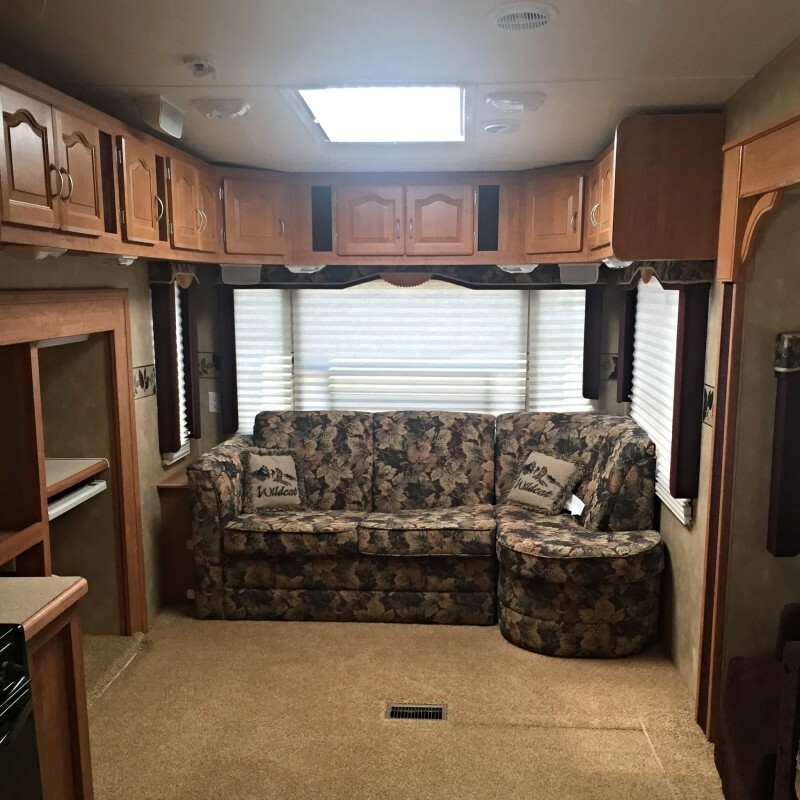 The kitchen is open and then plenty of living space with a corner couch to relax on. 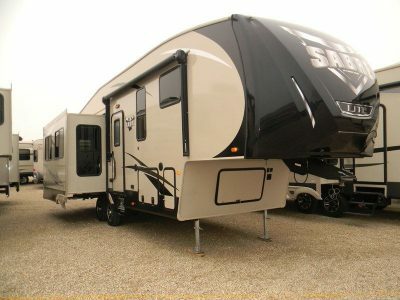 This can also function as a fold down bed if need be. 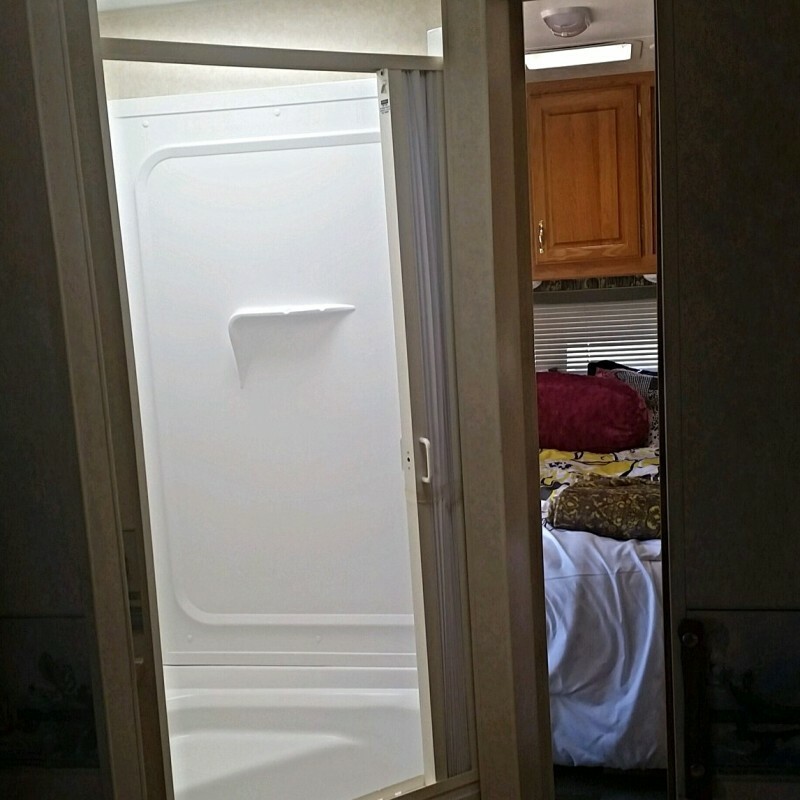 The bedroom area gives you some privacy if sharing with another person.